4. Nuclear – Murphy indicated support for nuclear as an energy source during the campaign, however many of the environmental groups supporting him are not on board. 6. Resiliency – Continue to support resiliency efforts including smart girds, microgrids and advanced metering as well as protection of the shore from damaging storms. 7. Urban toxics, diesel emissions, environmental justice and ports – The Governor-elect’s campaign materials emphasize the importance of addressing disproportionate environmental impacts on low income and politically vulnerable communities. Thus, these areas are expected to be a focus of these efforts. a. Smart Growth – An important plank of the Murphy platform was to return New Jersey to a leadership role in smart planning. b. Status of recent regulatory changes – Land use regulatory revisions adapted over the last several years could be a target for re-evaluation. c. Highlands and Pinelands – The composition of both Commissions could face change and some key recent decisions (e.g., re pipelines in the pinelands and septic density in the Highlands) could face re-examination. 9. Site Remediation – this topic is addressed under a separate article in this Forecast here. 10. 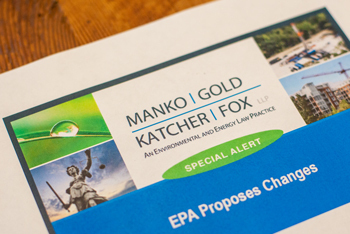 Strategic state leadership on environmental issues where EPA retreats – Expect New Jersey to take a leading role on issues such as climate change where EPA is retrenching.